Well, there you have it. The experts have spoken! It is officially cold, wet, and wintry outdoors and it is high time to give yourself full license to stay cozied up in bed. Wait, what's that? Your bed isn't a sanctuary? You're still fronting mismatched extra long twin t-shirt sheets from camp? The average human spends 1/3 of their life in bed (more if you're lucky/Ruby *hits snooze with paw*). Considering how much time we spend sleeping and also how much the quality of our sleep can affect our day-to-day, it's actually mildly shocking to think about how little thought is often given to the disposition of our precious beds. So, while our fair city is blanketed in literal feet of cold, wet, whiteness it is time to blanket your bed in warm, feather-soft...whiteness. While we can't *officially* claim that clean, crisp, fresh linens will cure anything that ails you, we can definitely claim that having a calm, airy, and relaxing bed space feels incredible. When it comes to bedding we swear by natural fibers. They are easy to clean, get softer with wash + use, and sleep cool. 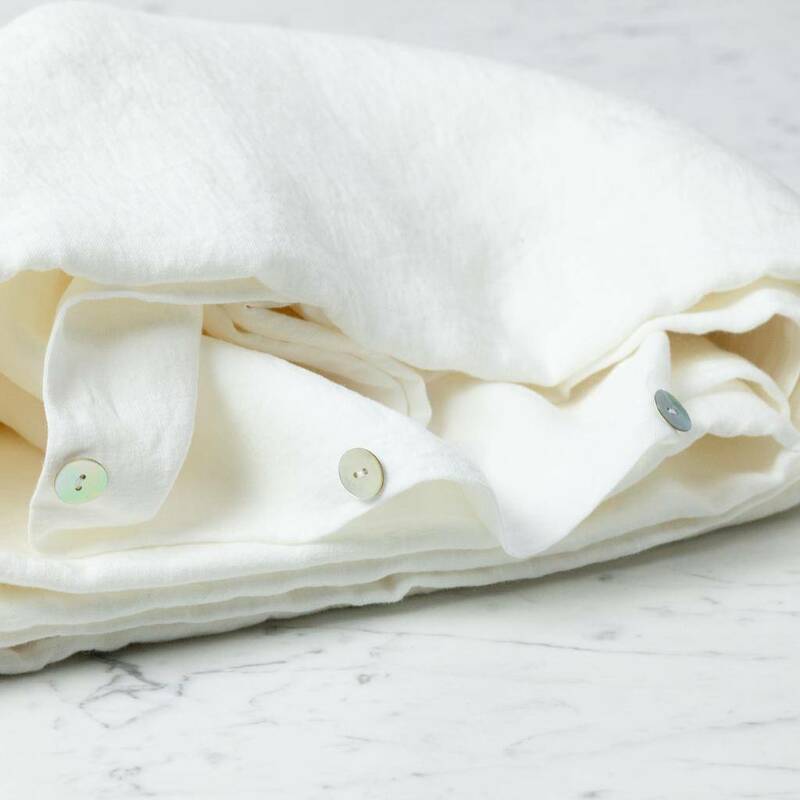 Woven and sewn in the great state of California, these cotton sheets are made from extra long staple, 100% combed cotton, and garment washed to be chemical free. Lawn uses a thicker yarn than your standard cotton sheeting and an open plain weave for a superbly soft, lightly brushed feel with exceptionally good airflow. It feels as if lightest, softest cotton flannel you can imagine took a breezy summer vacation. We carry these in white, always, but we have some very lovely swatches in the shop if you're interested in something more colorful (hello, "blush", "mica", or "coal"). We first slept on linen sheets while traveling in the lavender-wilds of France and it was one of the best slumbers of our lives to date. It might have been the Bandol Rouge, but the airy-soft breathable comfort of the delicious linen sheeting made the bed feel like it was just somehow made for our bodies. 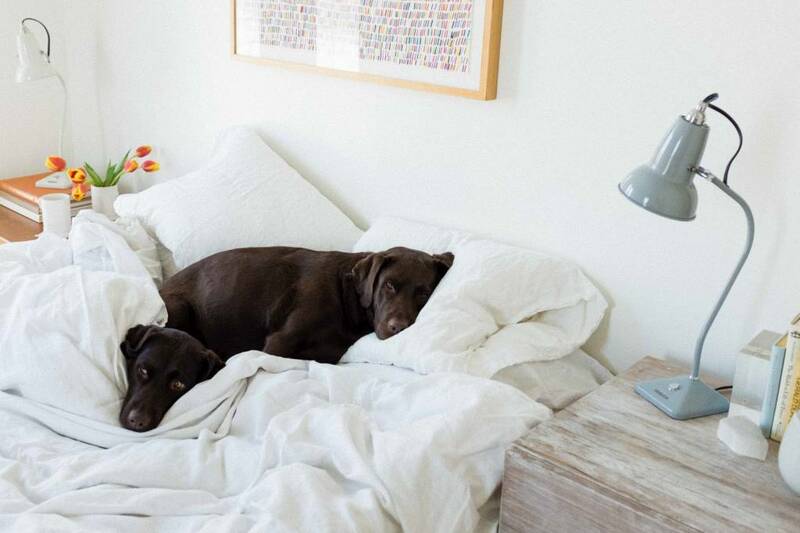 We love how a linen-made bed looks—see Ruby + Turnip above—somehow perfectly imperfect (also, a gentle reminder that a clean, cozy, well-loved space does not necessarily live and die by its hospital corners) but we really love how it feels. Linen is the best temperature regulator of all natural fibers, keeping in warmth during chillier seasons and staying cool when it's hot. And like all things beautiful, linen, and French, this sheeting gets better and better and better with age, tumbling out of every wash and dry cycle like a tousled linen Bardot. They're basically magic. And, like their cool cotton California counterparts, these sheets also come in a wide variety other colors. 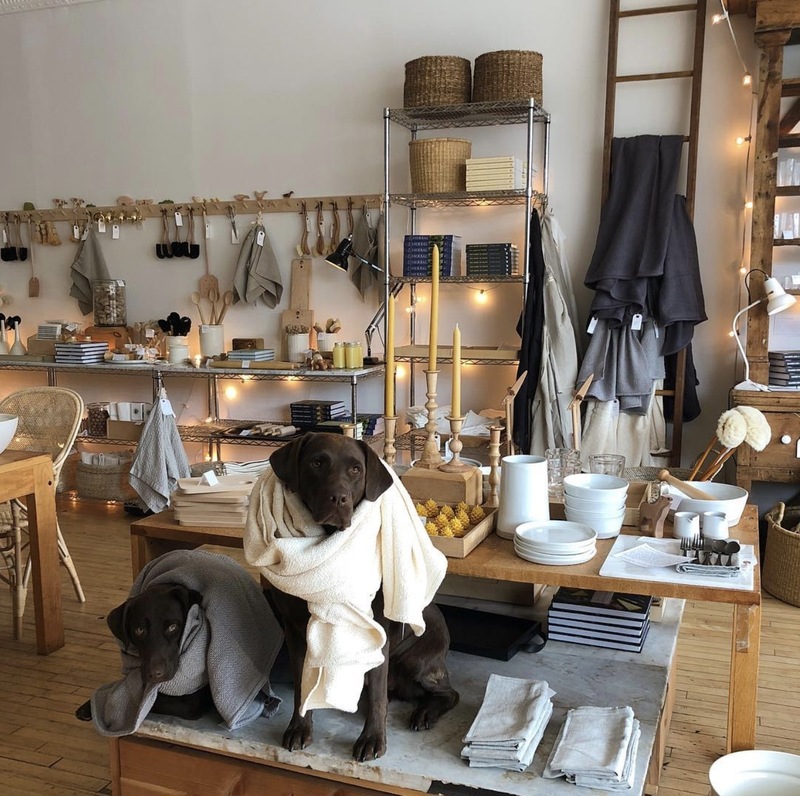 We love an all-white bed, but if you're looking for "curry", "fennel", or even white on black windowpane check, come in and we can ooh and ahh over the samples together. ps. This line also includes simple, classic, gorgeous all-natural crib sheets that can handle infinite washes. Yeah, Baby. A blanket can be very personal. Just ask Linus. For those who sleep solo, tailoring your bed + blanket to your exact preferences is a great and true pleasure. For those who share sheets, there are loads of options for making a sleep-suitable paradise amenable to all parties. For anyone, really, it comes down to layers. If you like to sleep with a quilt, we always recommend a duvet cover. 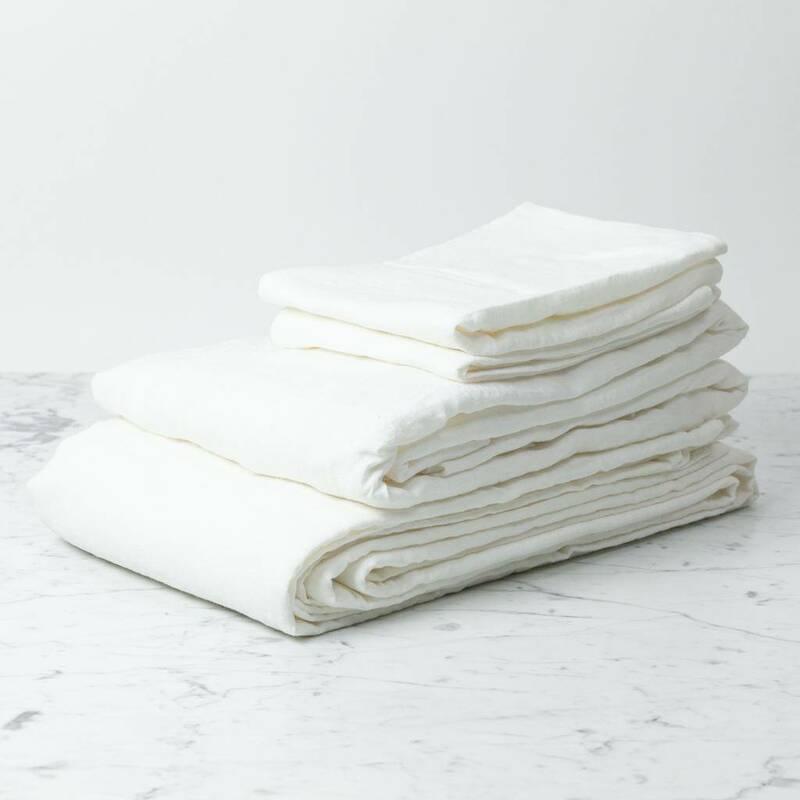 They protect your blanket from you and you from your blanket and make keeping your bed zone clean way simpler without washing a giant comforter every week. A duvet cover also gives you flexibility where comfort meets style. If your favorite blanket is looking a little tired (or if, like one Foundry Family partner, you can only sleep happily under a vintage wool quilt that is hot pink satin on one side and royal blue corduroy on the other... we can't make this stuff up) a cover can give it a quick facelift. Same for switching up quilt weights seasonally. Easy peasy. If you want to go all matchy-matchy, our cotton and linen sheet sets all have matching duvets, but if you want to change up the whole look + feel of your sleep palace, a swappable cover is an easy way to make a subtle style statement. Duvet. Bam. 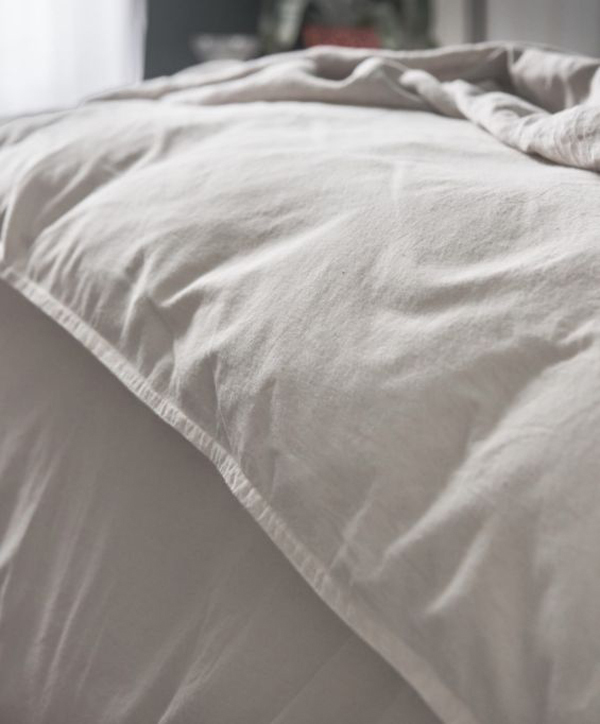 We love these low-key textured, completely hand-woven, spun, and dyed sustainably sourced cotton duvet covers from Africa. For those of us who sleep hot or cold or who live in apartments with persnickety overactive radiators or whose dogs hog the big blanket or who occasionally neglect their woodstoves and wake up with a chill or who can't stand to wear pajama pants that get bunched up around their knees or who get cold feet or shoulders or hands or who particularly just love being snuggly, we love to layer on a smaller cozy blanket at the foot of our beds within easy reach for whatever sleep vagaries might occur. From subtle woolens to rowdy heirloom tartans, sometimes a little extra warmth is just what the doctor ordered. Dr. Turnip, that is. However you dress your bed, we hope you're keeping cozy and taking time to take care of yourself, one glorious afternoon nap at a time.